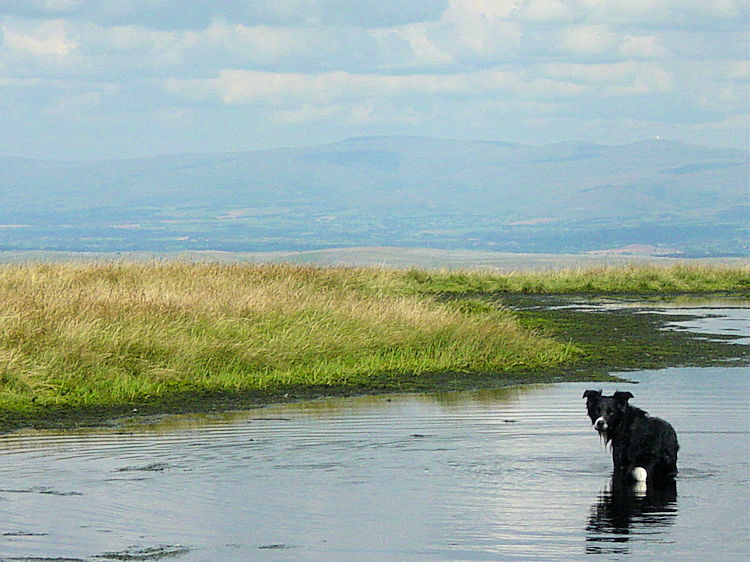 Summary: The most popular walk in these underrated fells which are, despite being in Cumbria actually part of the Yorkshire Dales National Park. 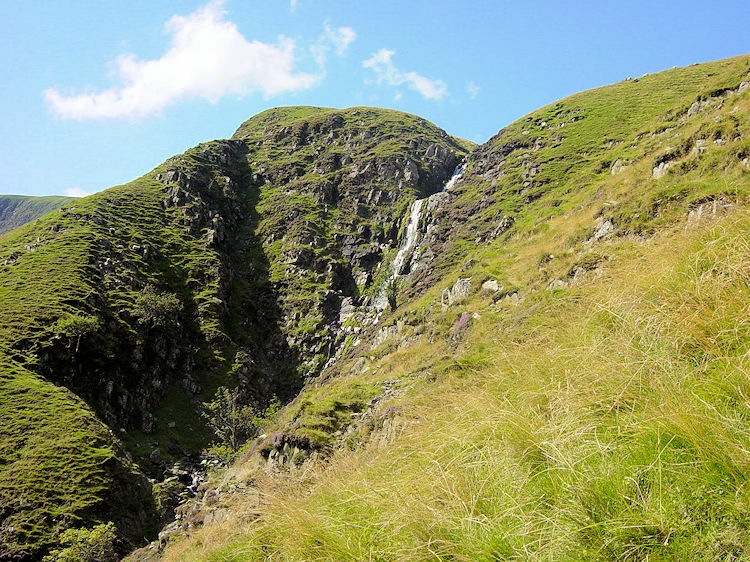 This is a super walk that begins with an ascent onto the fells via the Cautley Spout waterfall. 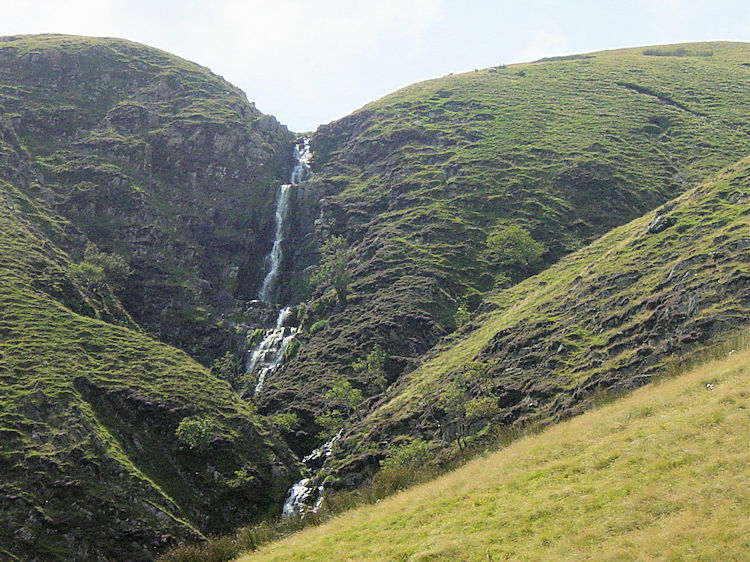 It is a magnificent sight as you approach the spout from the starting point at Low Haygarth situated three miles north-west of Sedbergh on the A683. 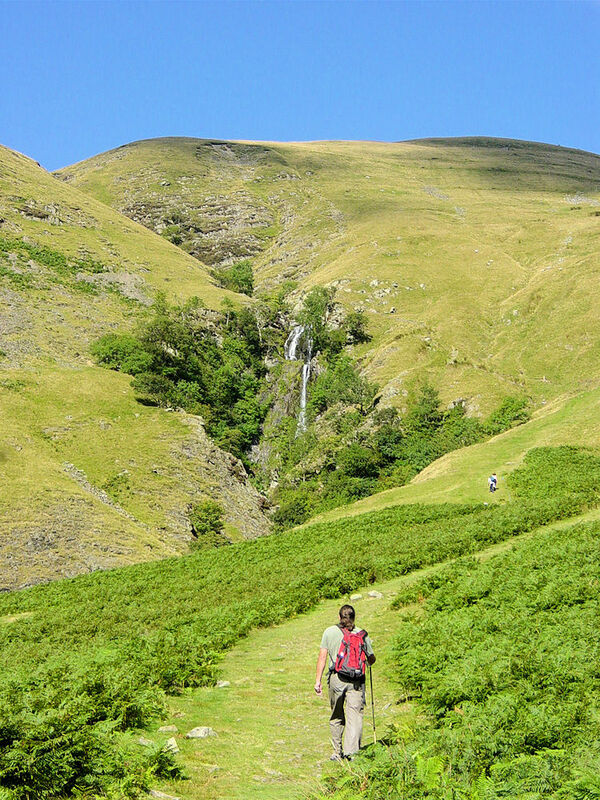 After walking up the path on the side of Cautley Spout Tongue follow Swere Gill to the Calf and then walk over some of the Howgill Fells before dropping down to Bowderdale. It is probable you will be in solitude on this great walk which is good for you but a shame for those who don't know what they are missing. 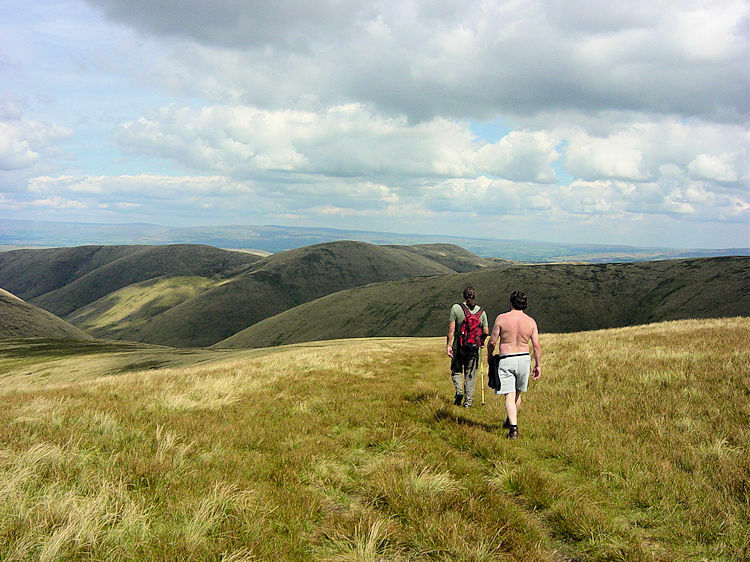 Another glorious day in the summer of 2003 was the setting for our walk on the Howgill Fells. I was in the company of Deke and Stewart during a weekend break in Sedbergh and as we set out from the starting point at Low Haygarth we were in excellent spirits. 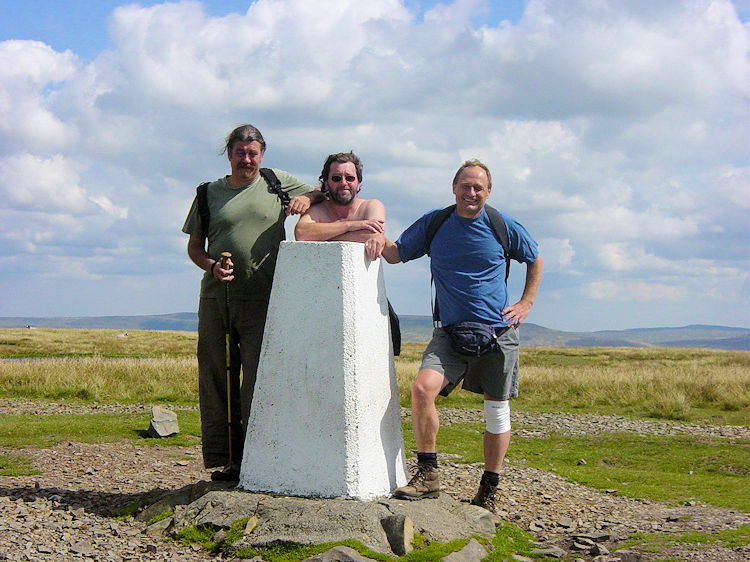 The walk is not overly long at just over seven miles but the first two are spent constantly climbing from 176 metres to 676 metres at the trig point on the Calf. 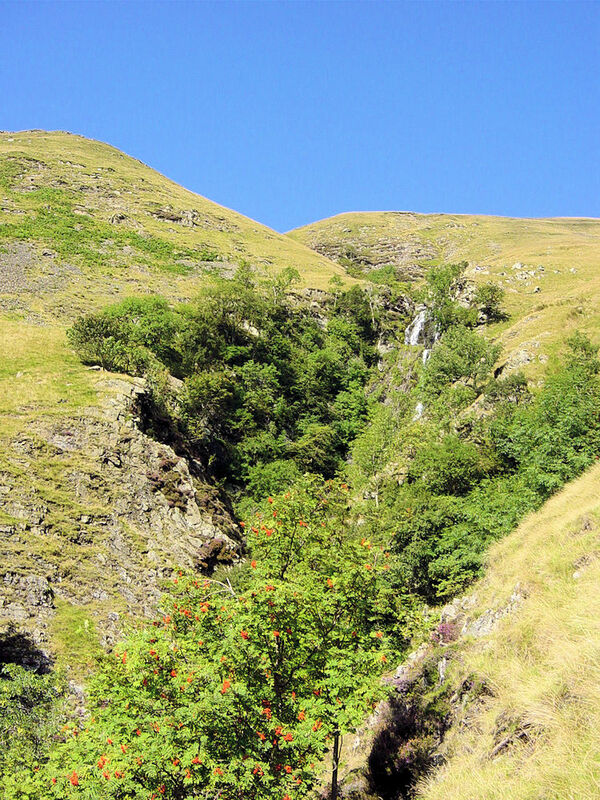 The first half is not so taxing as you gently climb to the foot of Cautley Spout at 250 metres. 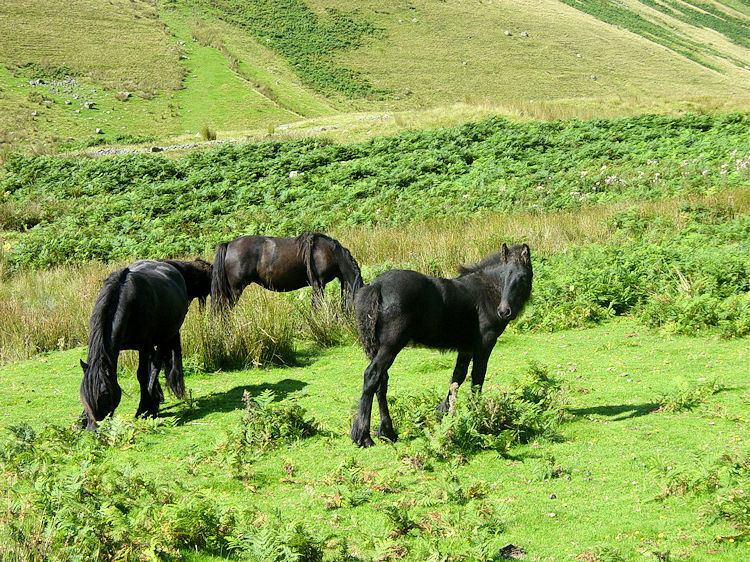 This section was taken leisurely in the morning sunshine and on the way we met the famous wild horses of the Howgill Fells. They continued to graze undisturbed as we walked closely past them on the way to the foot of the spout where the harder work was to begin. I always like to take my time over this section of the walk. 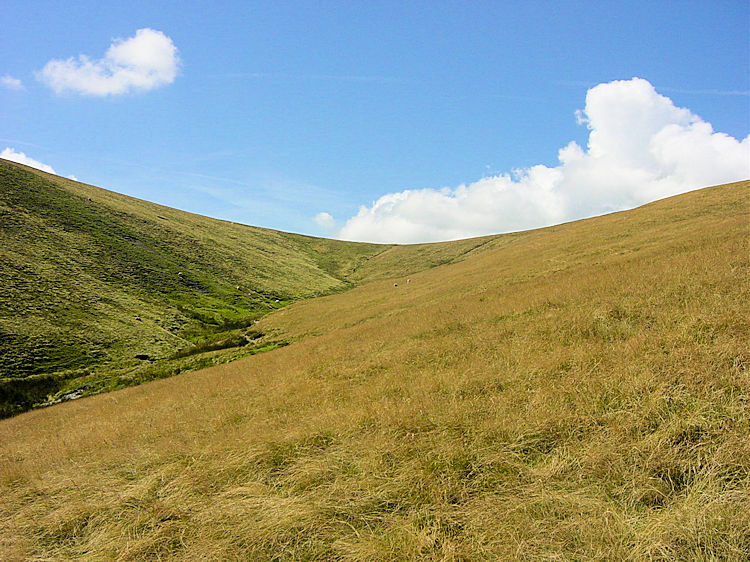 The pasture land which the wild horses enjoy is a marvellous place and the wide flat land either side of Cautley Holme Beck has a presence of it's own. It is a unique place with an awesome feel. 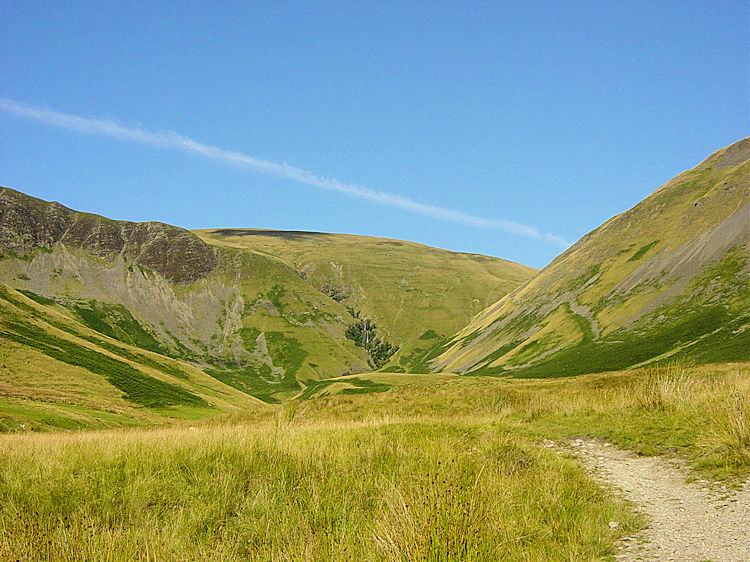 The massive sides of Cautley Crag to the south west and Ben End to the north east draw you into the valley, wide at first but narrower as you walk north west towards Cautley Spout. Naturally the waterfall draws you nearer. It has that alluring spirit. 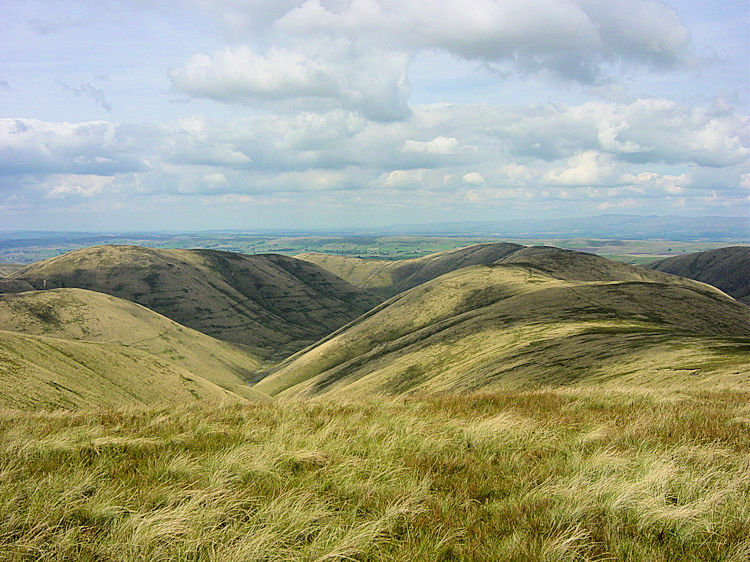 On our arrival at the climb to Cautley Spout we sat for a while taking in the great views back towards Low Haygarth and the massive expanse of Baugh Fell and Holmes Moss Hill in the distance. That is a bleak and undiscovered place that must be explored in the future. 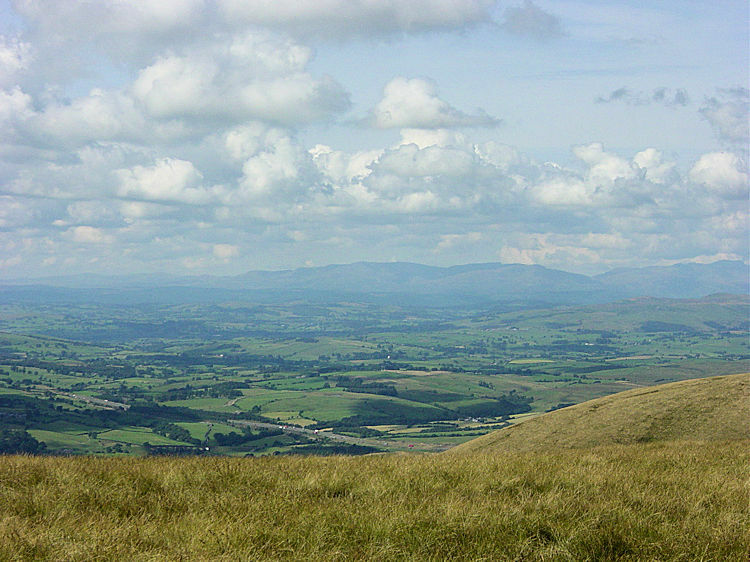 For now though, the Howgill Fells were our place. After our rest break we climbed up the side of Cautley Spout Tongue to the top of the spout but not without pauses for breath. 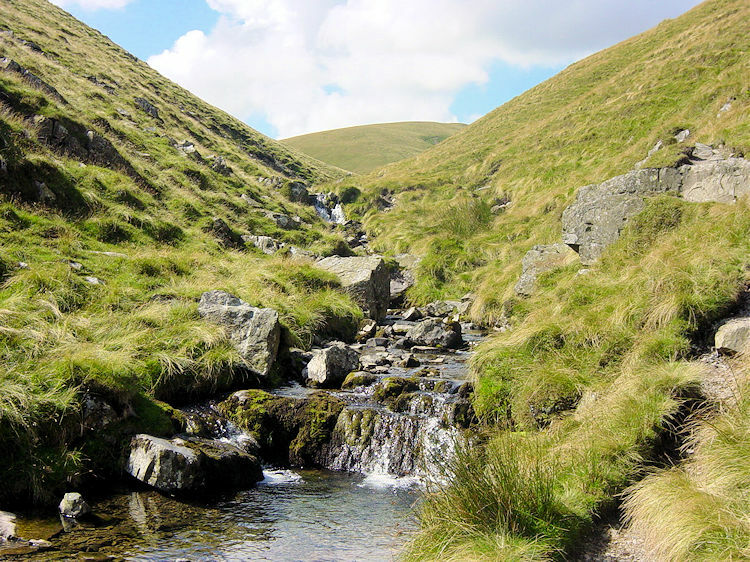 It is a steep climb that is started by the aid of a stepped path and finished on the distinct track that rounds the spout and meets Swere Gill. And there was another justified reason for the pauses as the views back down to Cautley Holme Beck were brilliant with it weaving a meandering course to its conclusion where it flows into Cautley Beck. Swere Gill is a delightful little beck that you follow within a small cut all the way upstream until its beginnings which are almost at the Calf. We enjoyed our now less steep ascent of Red Gill Beck taking in Andy Goldsworthy's sculptured stone obelisk and sheepfold enclosure. 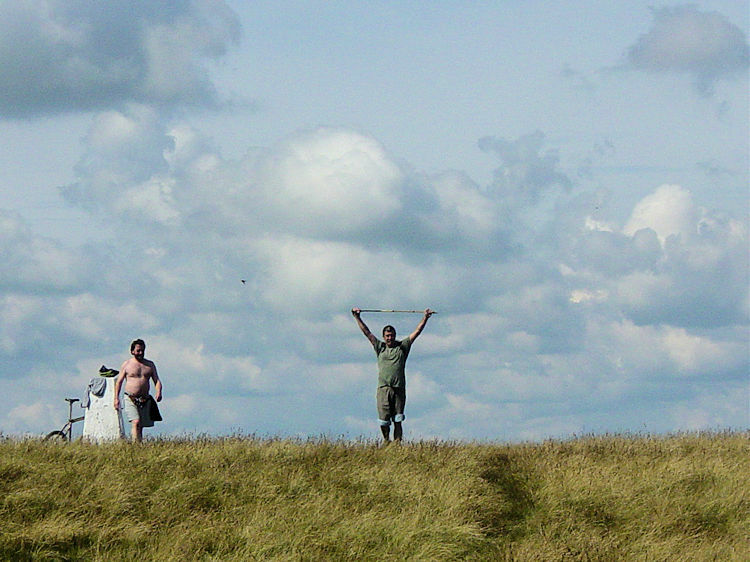 From the fine example of modern art we continued together for a few paces before each of us meandered on the grassy slopes of Swere Gill Head. We kept each other in sight for a while before losing Deke temporarily on the ascent to the Calf. Having done his little excursion of exploration we met up with him on the path leading up to the Calf trig point. As we emerged on the top plateau of the calf tremendous views unfolded all around us and the magnificent Lake District came into view. At the trig point on the Calf there is a small tarn and that is where we stopped for lunch. While Deke explained the origin of the Bram Stoker Dracula novels to Stewart I attempted the Daily Telegraph crossword. After the inevitable anecdotes and story telling the boys tried to assist with some clues and after having lunch, crossword 75% complete, and having watched a fellow walkers dog humorously cool itself in the tarn we moved on. We walked across the fells for some distance towards Hazelgill Knott until we decided it was time to drop down in Bowderdale. We could have followed the track for about two more miles as it leads naturally down into Bowderdale but we decided this was the time for another of those funny moments you enjoy when walking in company and one that we have done before for as the drop into Bowderdale if you leave the track early is a steep one. 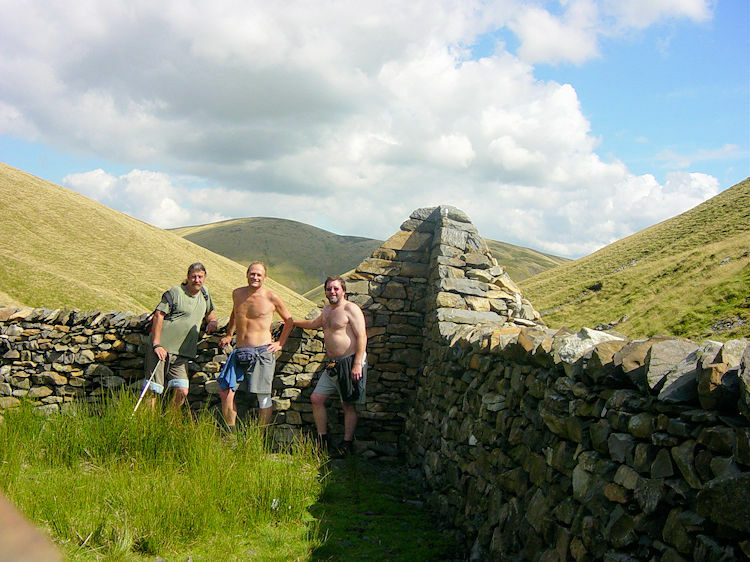 One mention before we drop down though, on a lovely day such as the one we were having here there are not many better places than the Howgill Fells for a great day out walking. The views of the rolling tops is sublime as I have tried to capture in the photograph above. They just invite you to explore them and in retrospect I wish we had that day. For sure I will explore them more fully in the future. For now though it is back to the walk. What is funny about the descent into Bowderdale is that, not for the first time, we did part on our backsides. The grass was dry and long so it was a comfortable and quick way to get some of the way down. That is until the friction of the drop on our trousers or shorts has started to heat up the cloth and make our bums burn! 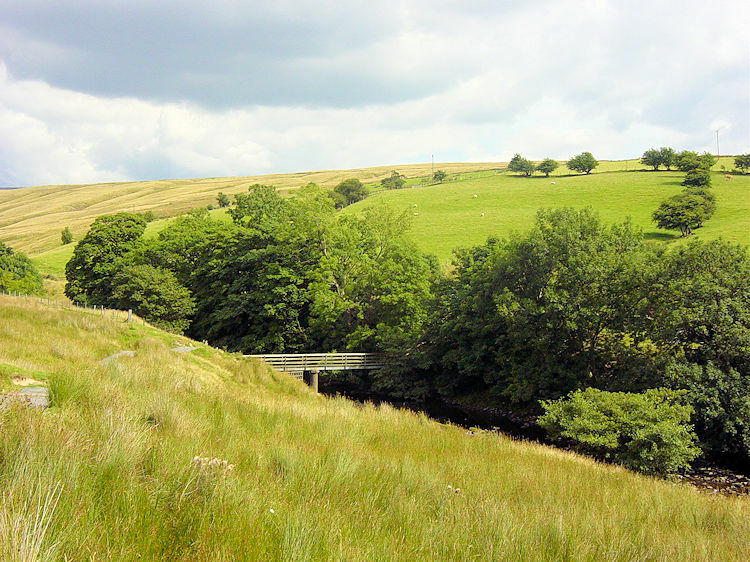 At that point we got back onto our feet and zigzagged our way down to Bowderdale Beck on the valley floor. I have always found Bowderdale eerily silent and this was no exception. You could only hear a wisping wind, that is until a drone in the distance began to break the silence. The drone became louder and just as I was having a relief break (the boys had dropped into the valley a short distance behind me). 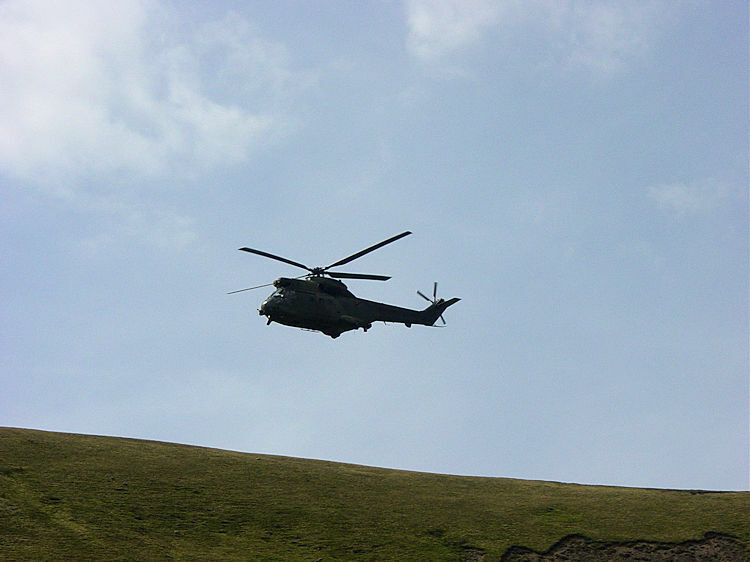 My privacy was quickly abated as the noise grew even louder and as I turned I saw these two military helicopters rounding a bend just above the ground in my valley of choosing. I quickly dived into the bag for my camera as the helicopters approached and luckily snapped them as they flew past. How close they were is clear in the photograph of one of them I have included on this page. What a brilliant moment. After the excitement of the fly past the boys met up with me and we followed Bowderdale Beck downstream to Bowderdale Head and to the becks meeting with Swere Gill at Cautley Spout Tongue. 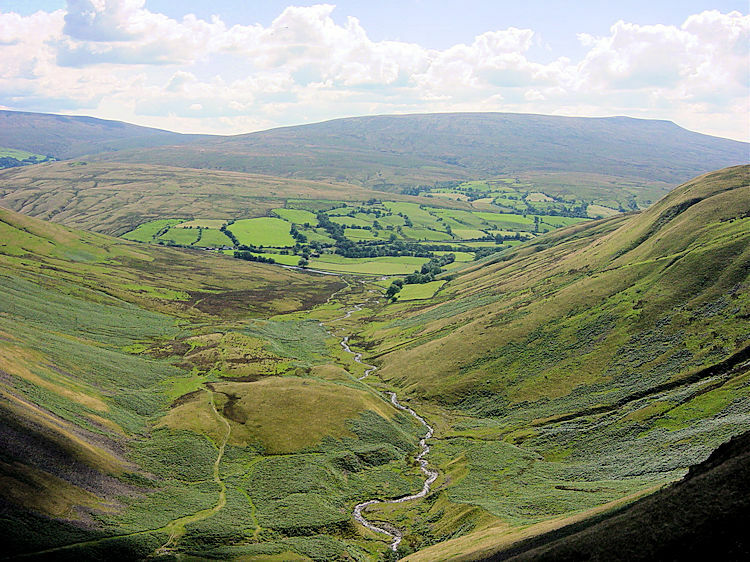 Where they join they become Cautley Holme Beck. The final descent out of Bowderdale is steep so you have to be sure on your feet but after taking due care we were down and then retraced our steps back to Low Haygarth. It had been hot work so we decided to go for a shandy at the pub near the start. We walked the 100 yards from the car to the pub only to realise it was a temperance establishment with no alcohol! 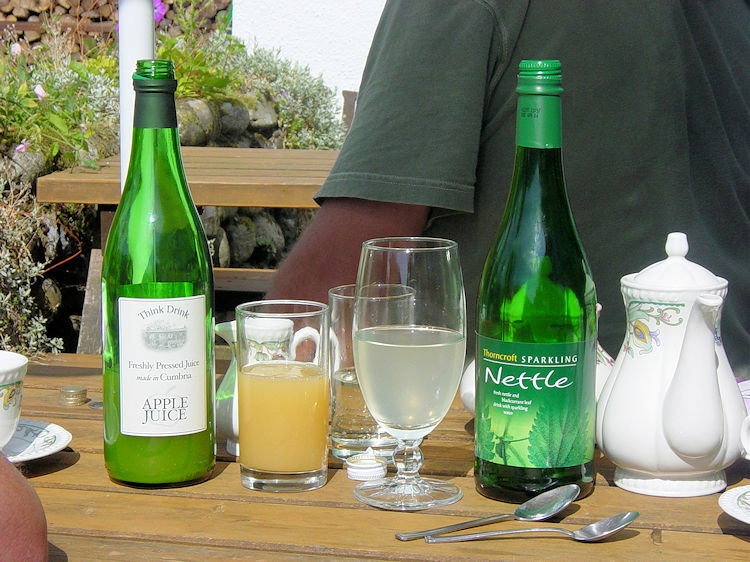 No problem (and probably a good thing) as we enjoyed a delightful drinking medley of real Apple juice, real Ginger beer and even real Nettle wine, all accompanied by a pot of Earl Grey Tea. And one knackered Stewart did need the replenishment! A perfect end to a lovely day out on the Howgill Fells.